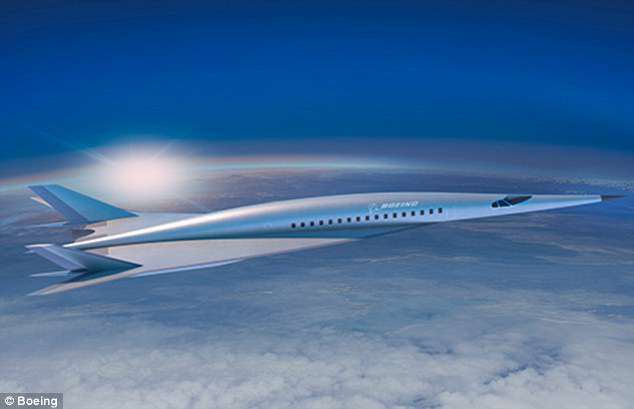 The American Institute of Aeronautics and Astronautics has announced a concorde-like designed plane that can travel between London and New York in just two hours. The unnamed concept, revealed at a conference in Atlanta this week is super stylish. The Mach 5 passenger transport would be capable of crossing the Atlantic in 2 hours or the Pacific in 3 hours. Flying at Mach 5, and with a projected cruise altitude of 95,000 ft., the air vehicle would travel at more than 2.5 times the speed and 30,000 ft. higher than the supersonic Anglo-French Concorde, which was retired in 2003. Boeing claims it will allow passengers to commute between London and New York by buying same-day return flights, even across the Pacific. 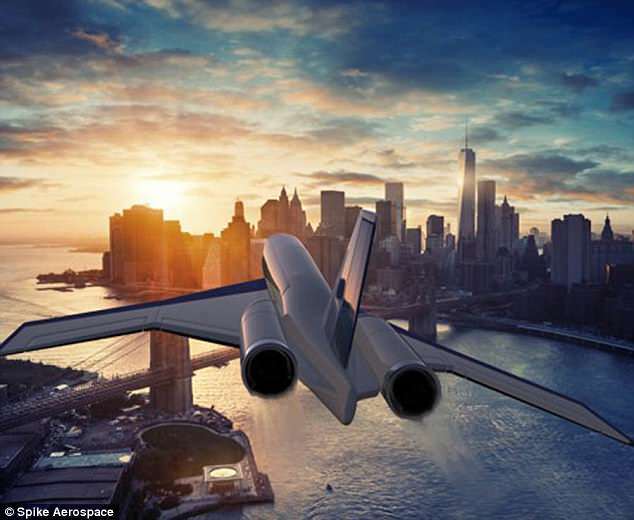 'Building the future at Boeing requires looking decades ahead at what could be possible, and innovating now to make it happen,' Boeing said. 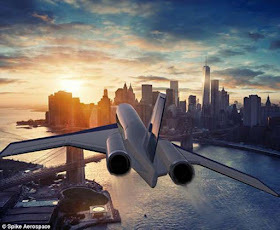 'We're excited about the potential of hypersonic technology to connect the world faster than ever before,' said Kevin Bowcutt, senior technical fellow and chief scientist of hypersonics. However, he added the military could have access to the technology far sooner.